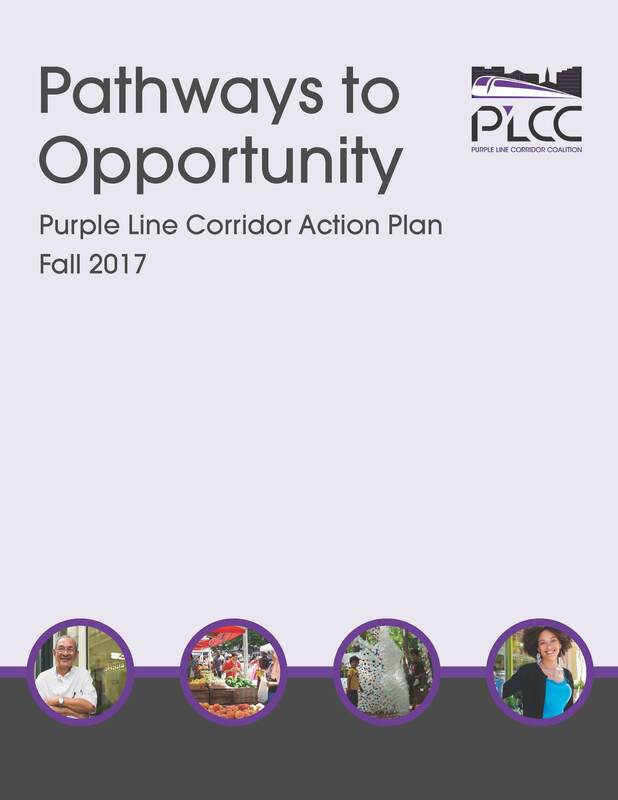 Pathways to Opportunity: A Community Development Agreement for the Purple Line Corridor articulates a collective vision for vibrant economic and community development along the corridor and strategies to achieve that vision. 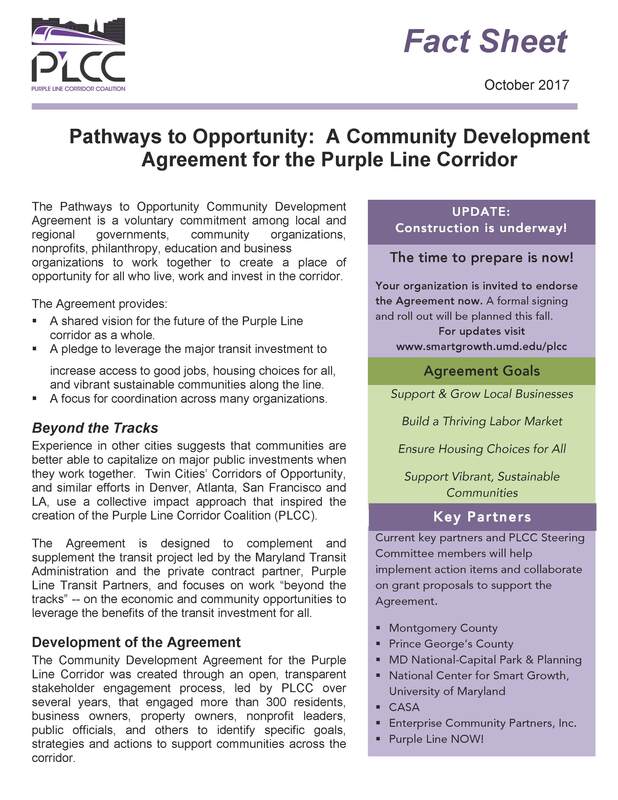 The Agreement represents a strong commitment by public, private and community stakeholders to work together to leverage the major Purple Line transit investment to create a place of opportunity for all who live, work, and invest in the corridor through the collective pursuit of four goals. 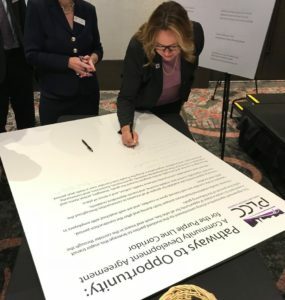 This shared commitment will shape efforts to create and sustain a unique transit corridor for decades and serve as a national model for purposeful and committed community development. 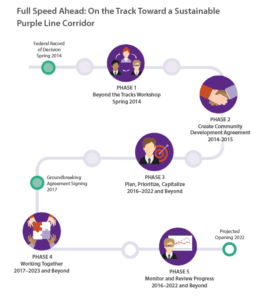 With the Purple Line transit project already underway, we must take steps now to fully realize the benefits of the massive Purple Line transit investment. Experience in other cities shows that coordination and cooperation by a broad group of stakeholders can help minimize challenges and maximize opportunities for all. 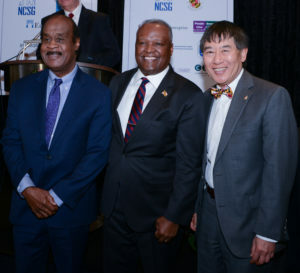 This shared commitment will shape efforts to create and sustain a unique transit corridor for decades and serve as a national model for purposeful and committed community development. 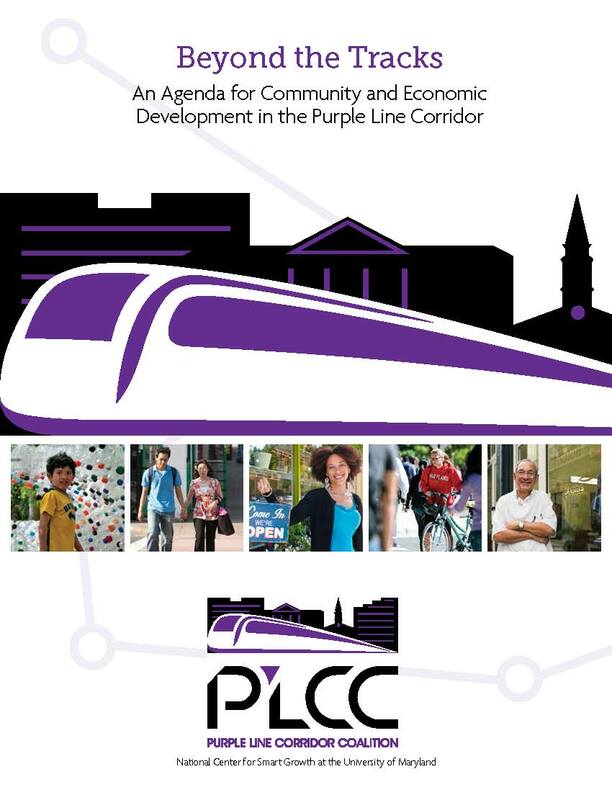 PLCC has engaged more than 150 stakeholder organizations across the region. A focus for multi-sector collaboration, investment and planning.